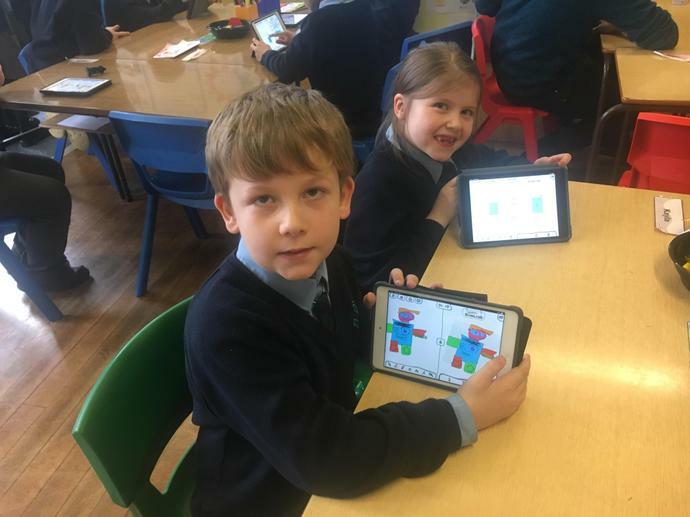 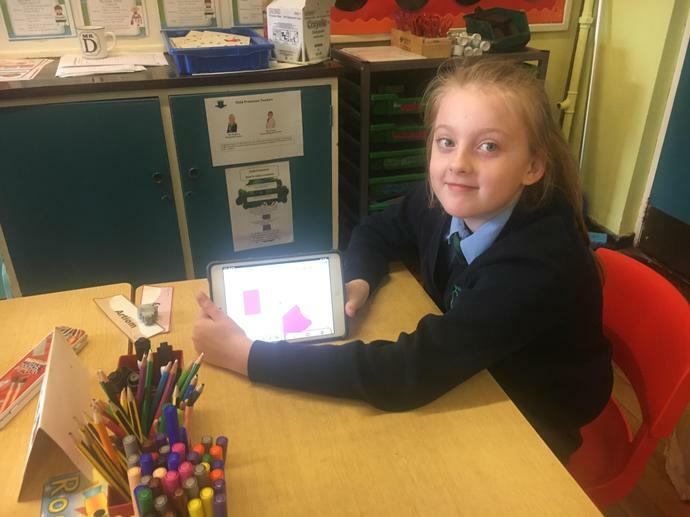 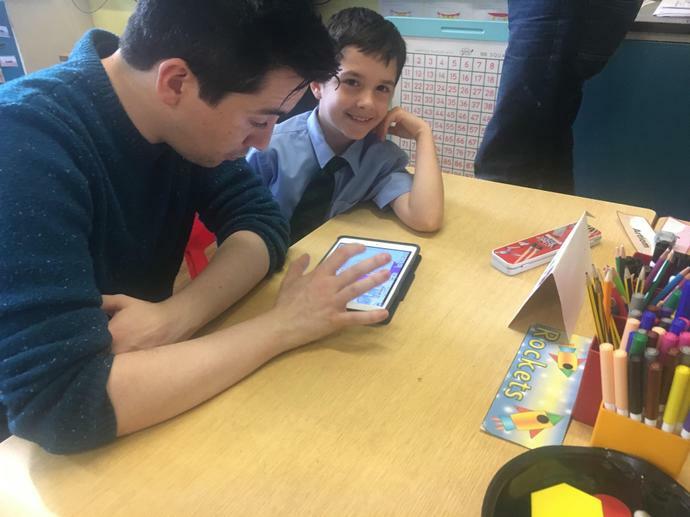 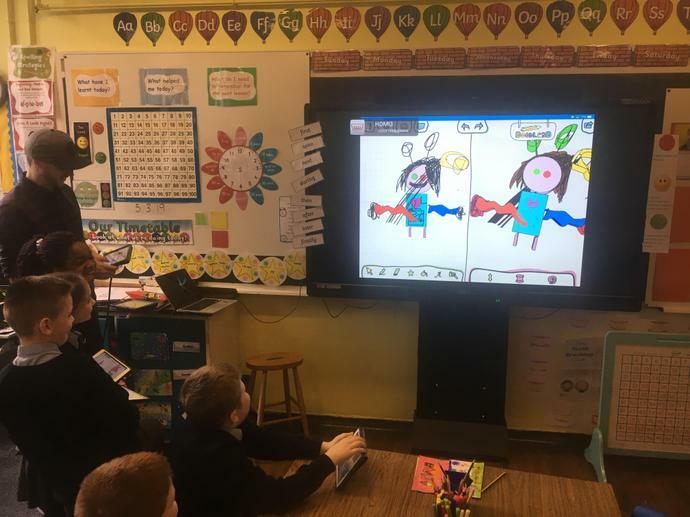 P4 taking part in a Digital Fabrrication workshop which all pupils thought was brilliant. 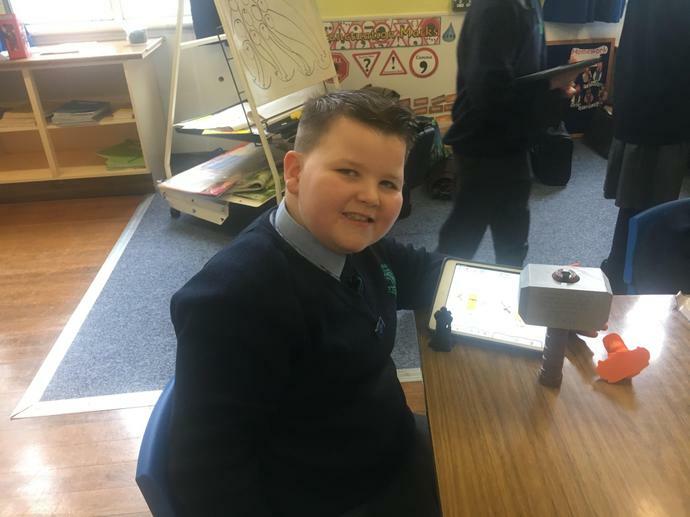 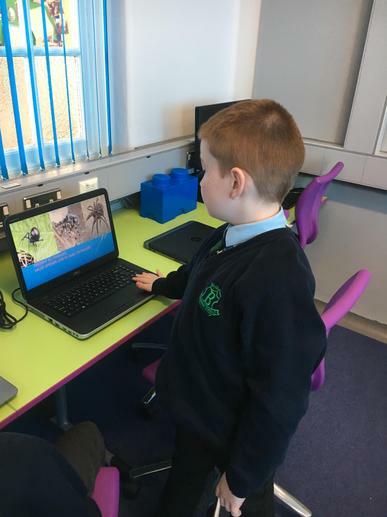 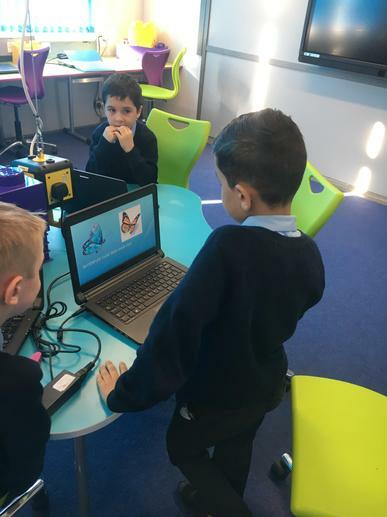 P4 using the New ICT suite to present their PowerPoint presentations on minibeasts. 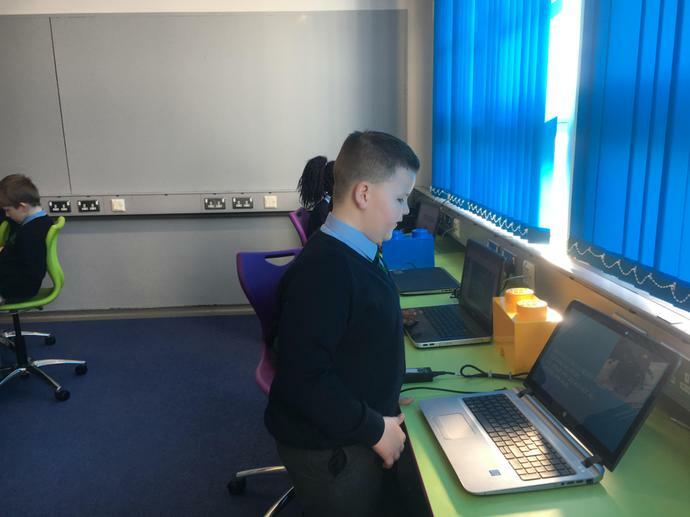 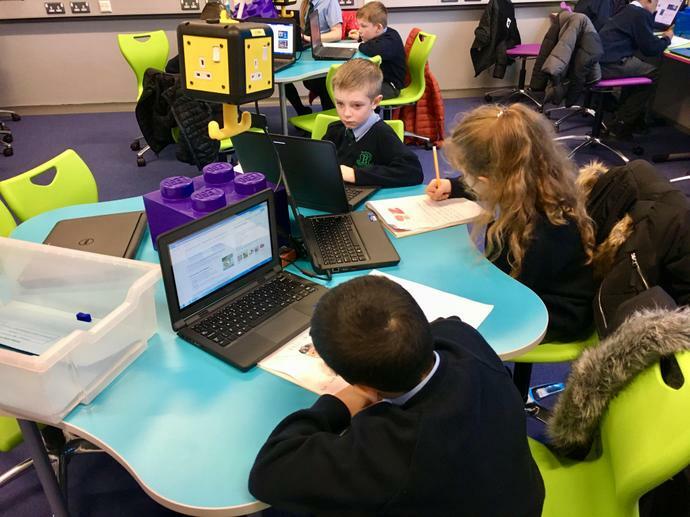 P4 were introduced to our Brand New ICT suite. 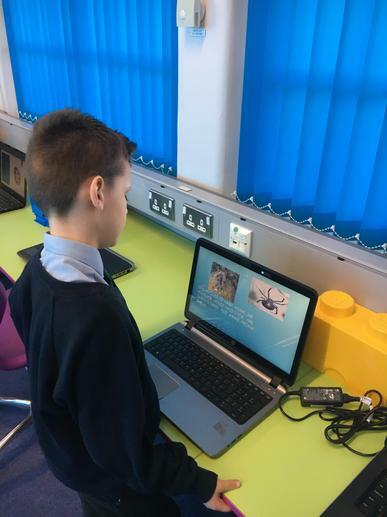 All had a computer each and all able to learn to research Mini-beasts and record facts to create their own PowerPoint presentation. 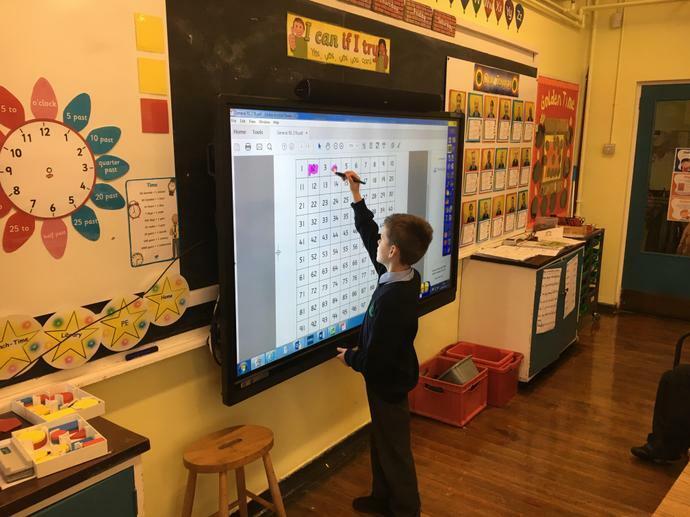 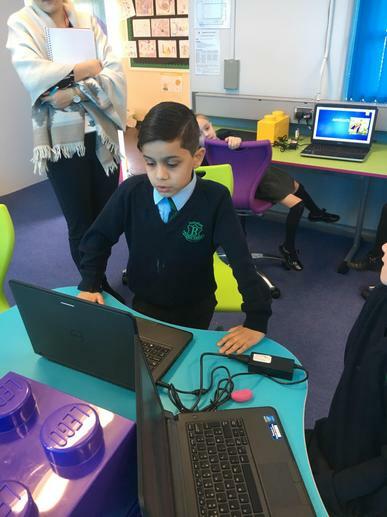 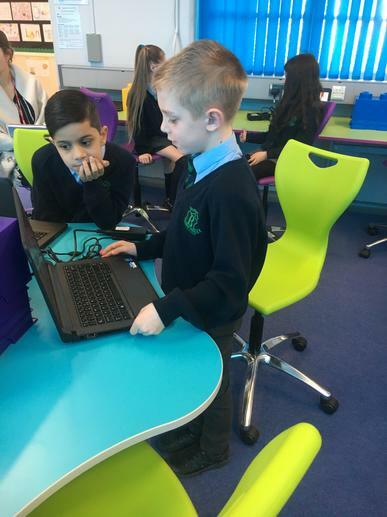 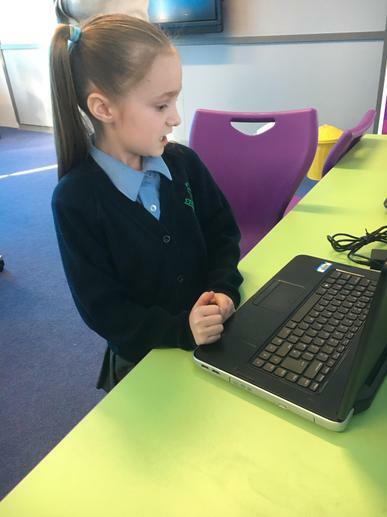 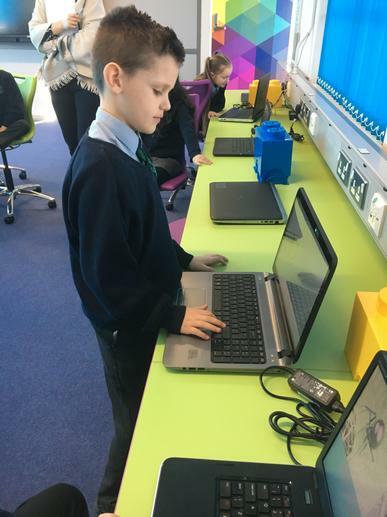 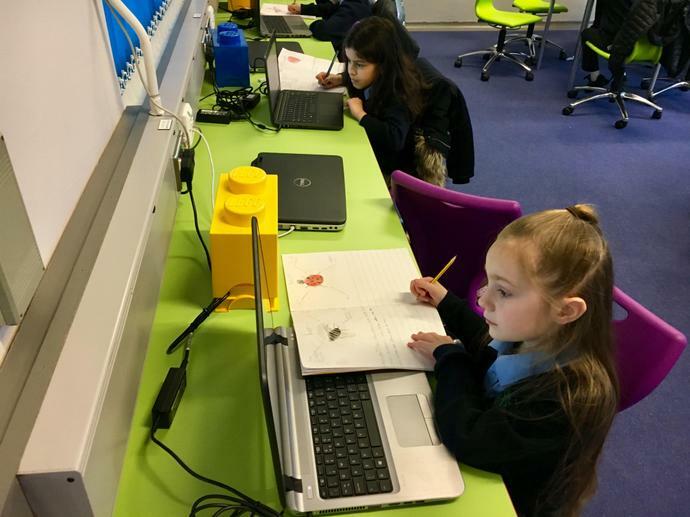 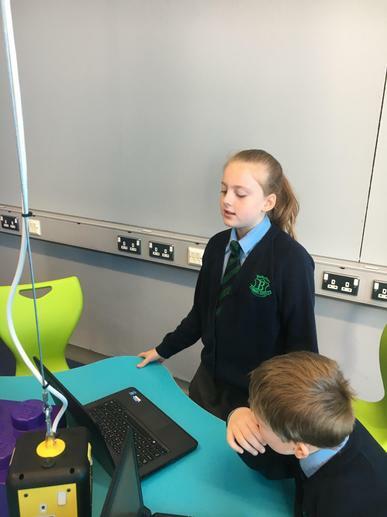 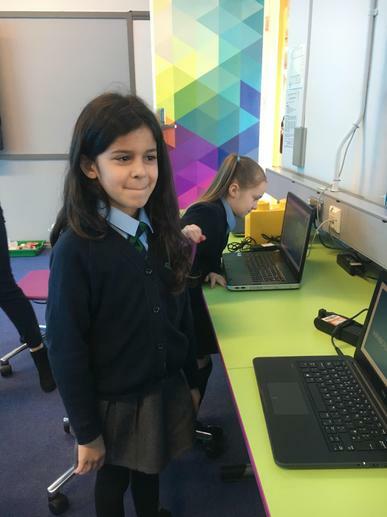 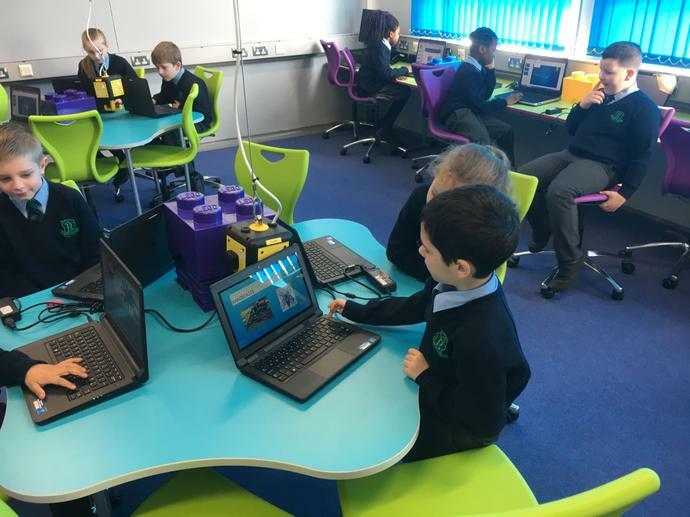 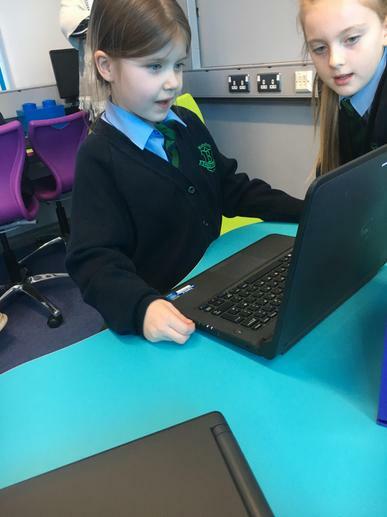 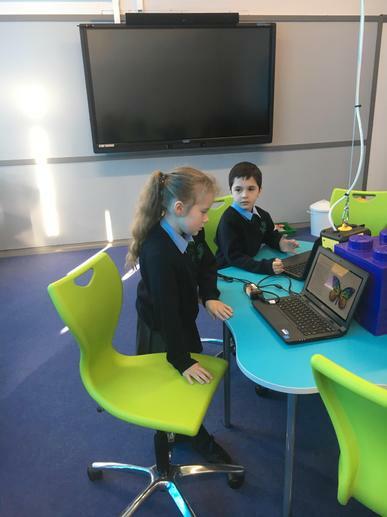 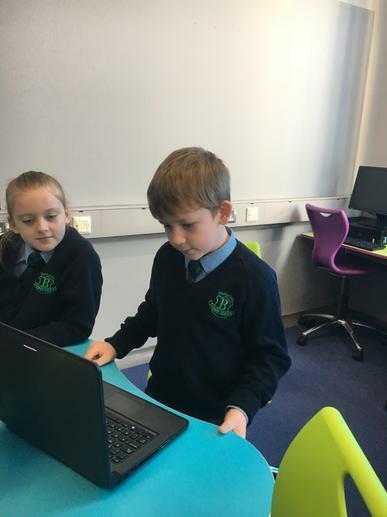 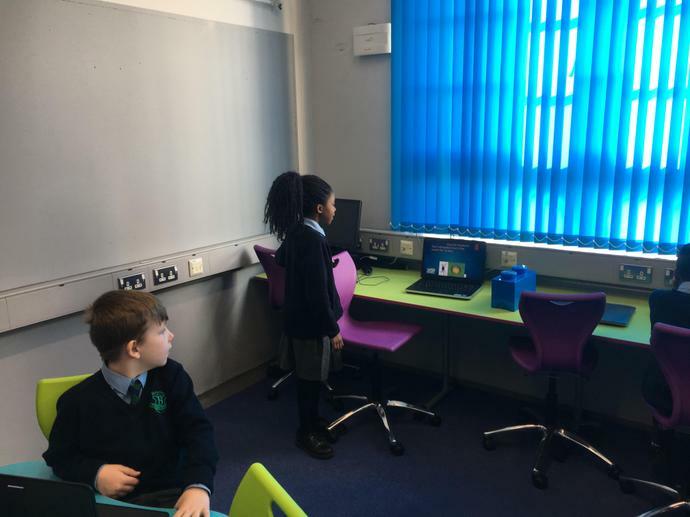 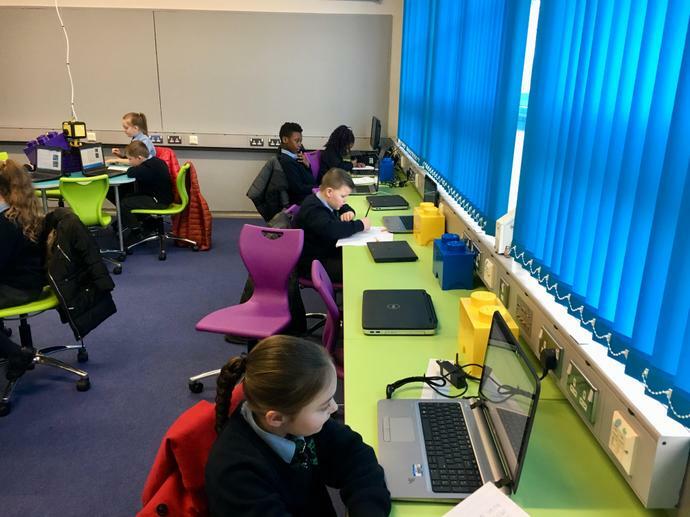 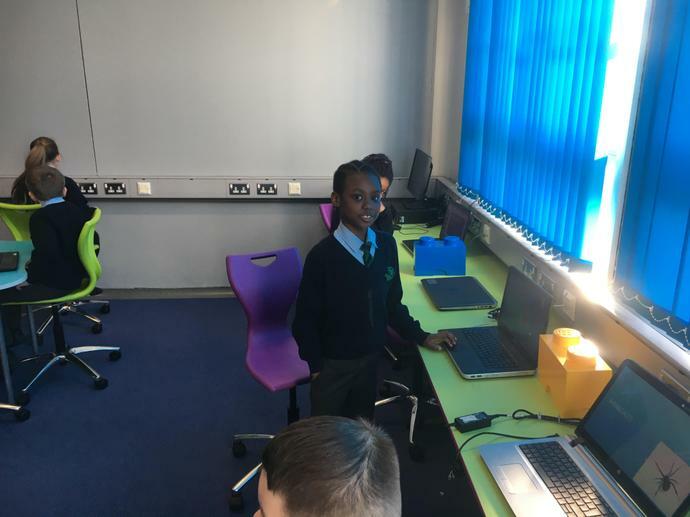 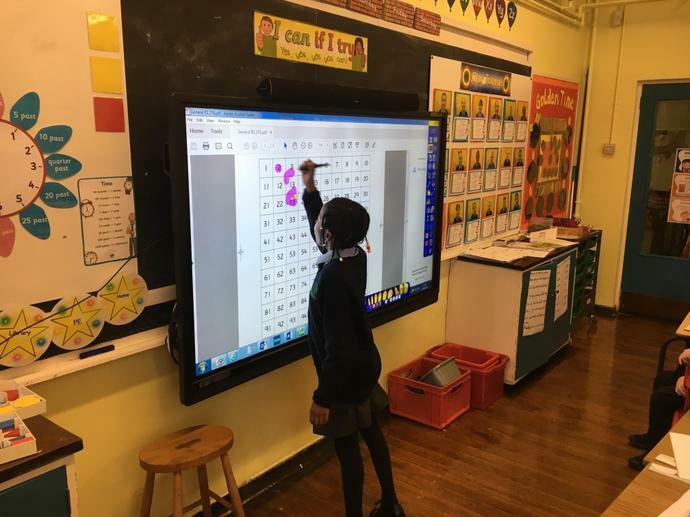 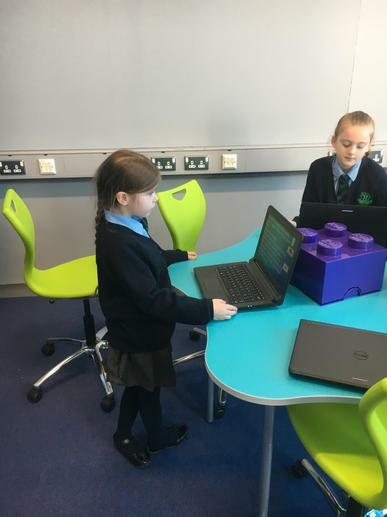 We love the new ICT room! 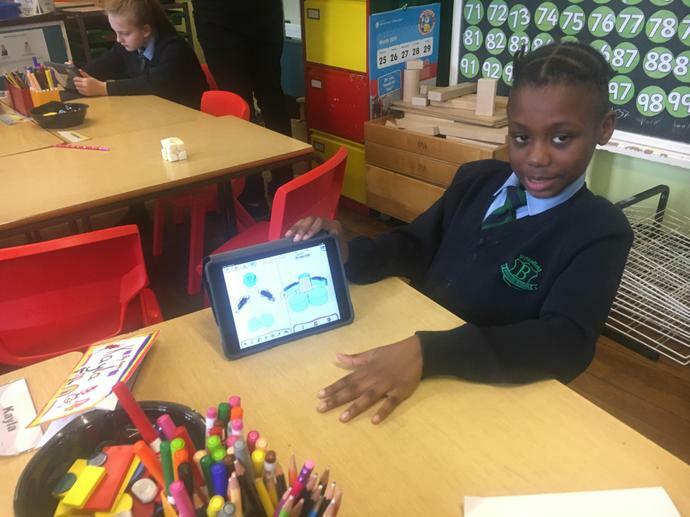 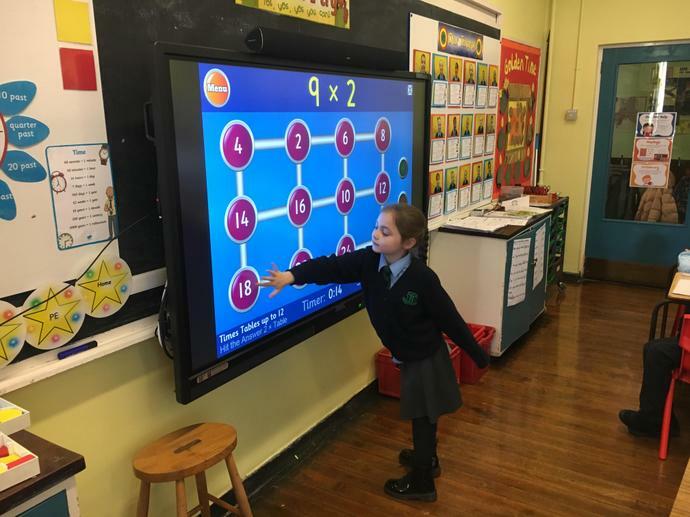 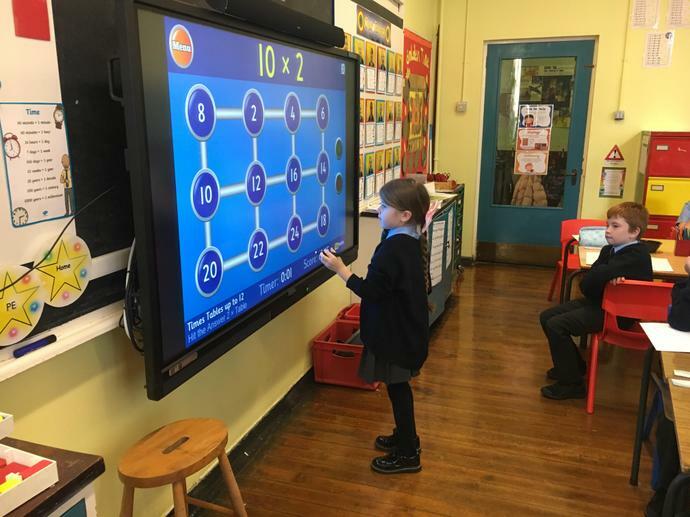 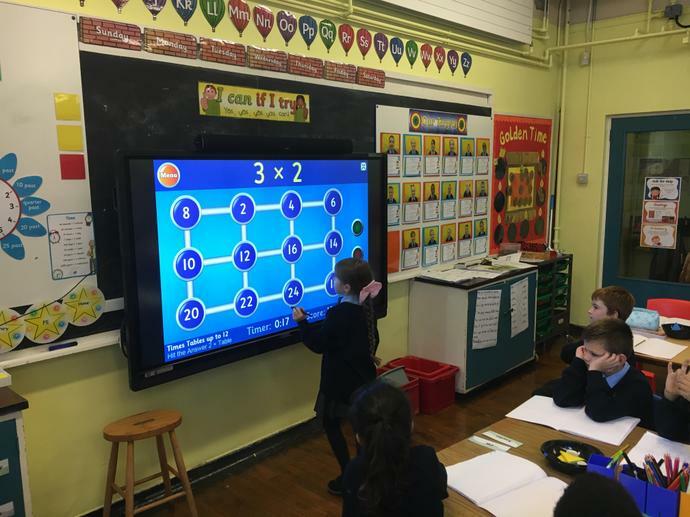 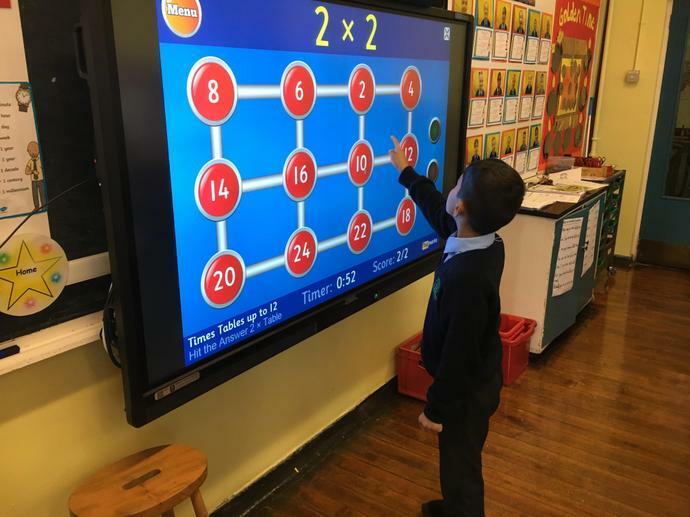 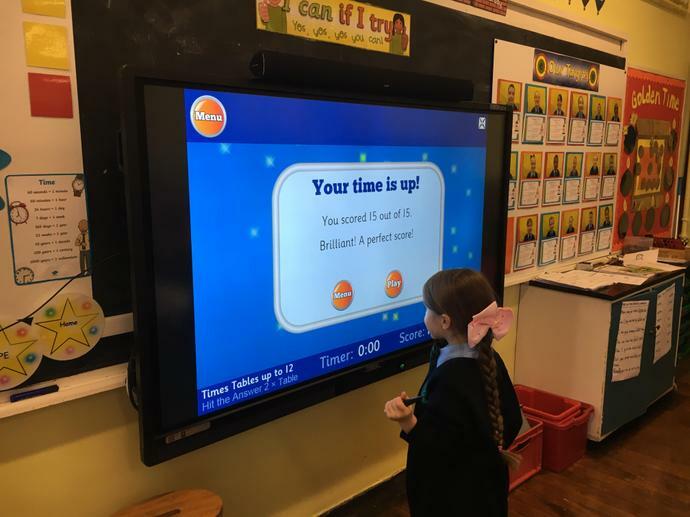 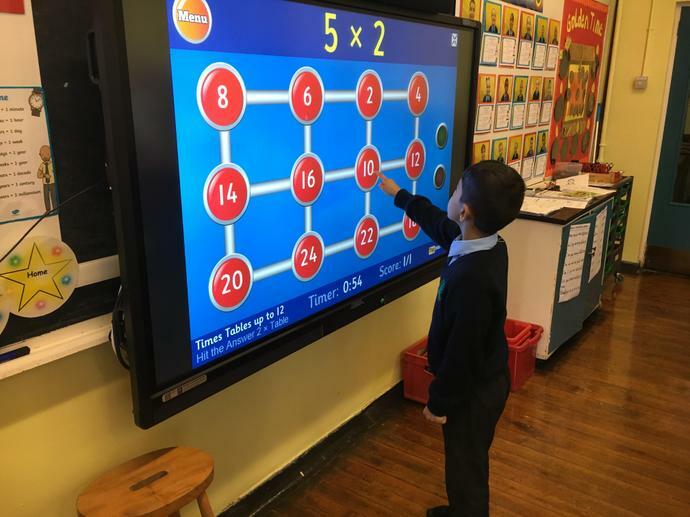 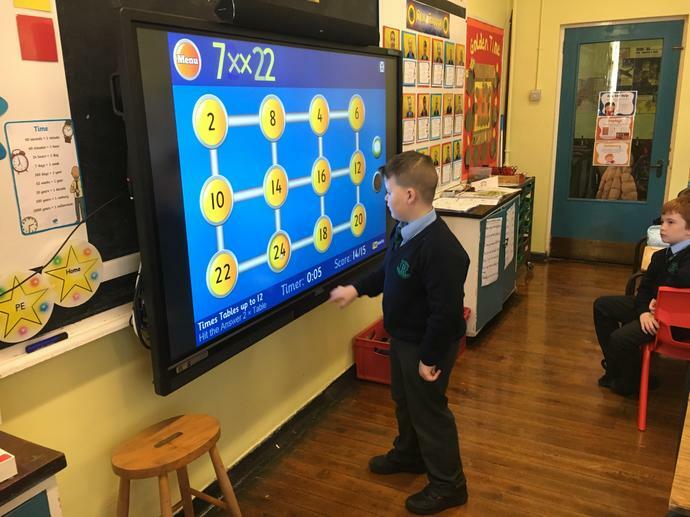 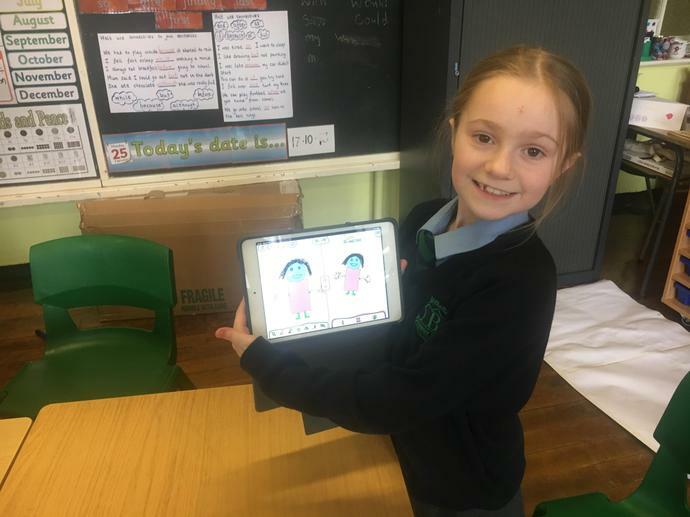 P4 practicing number patterns and quick recall of their 2,5 and 10 times tables using ICT.